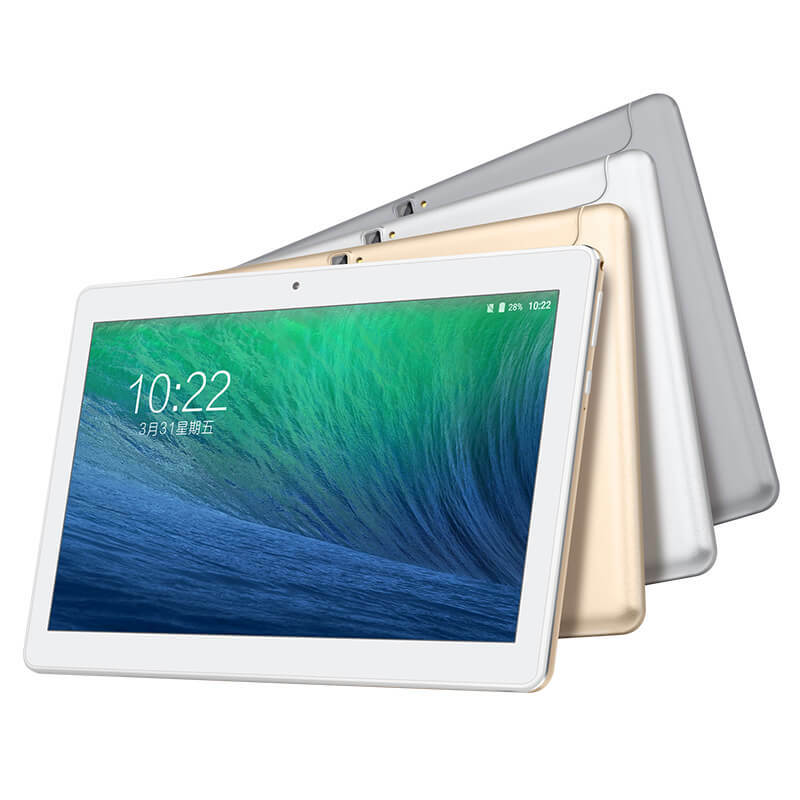 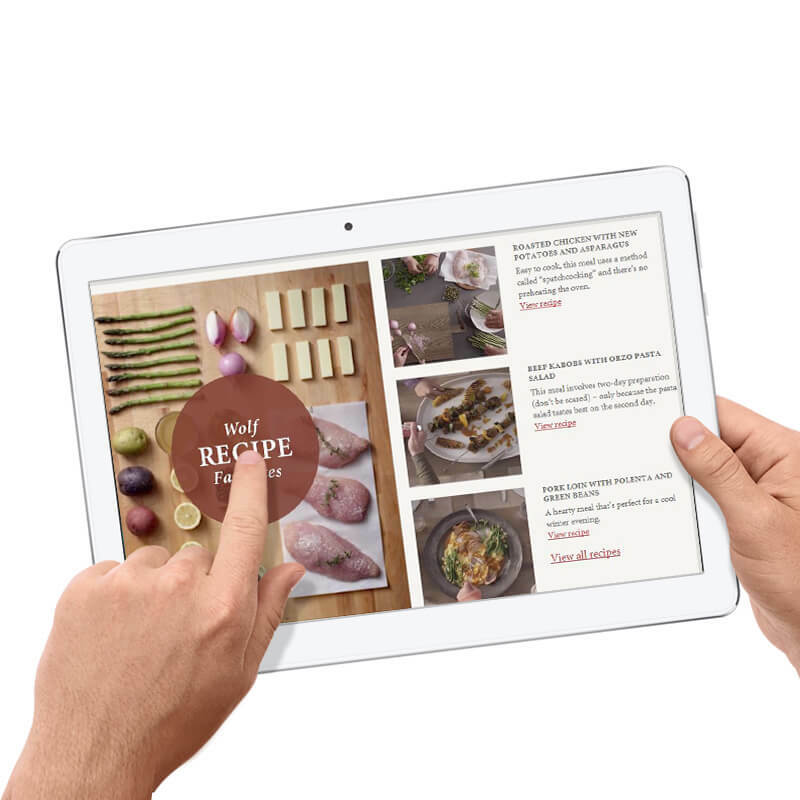 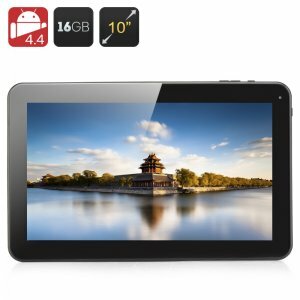 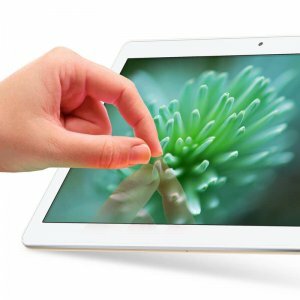 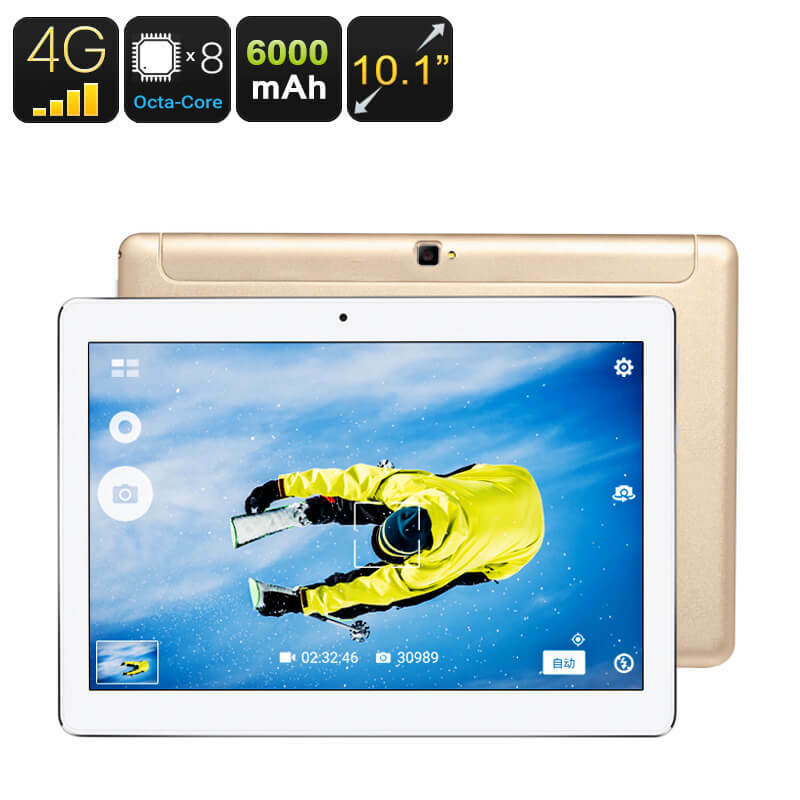 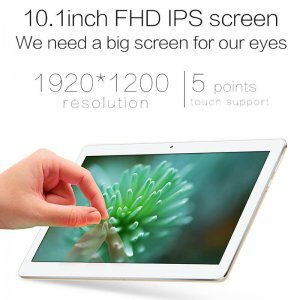 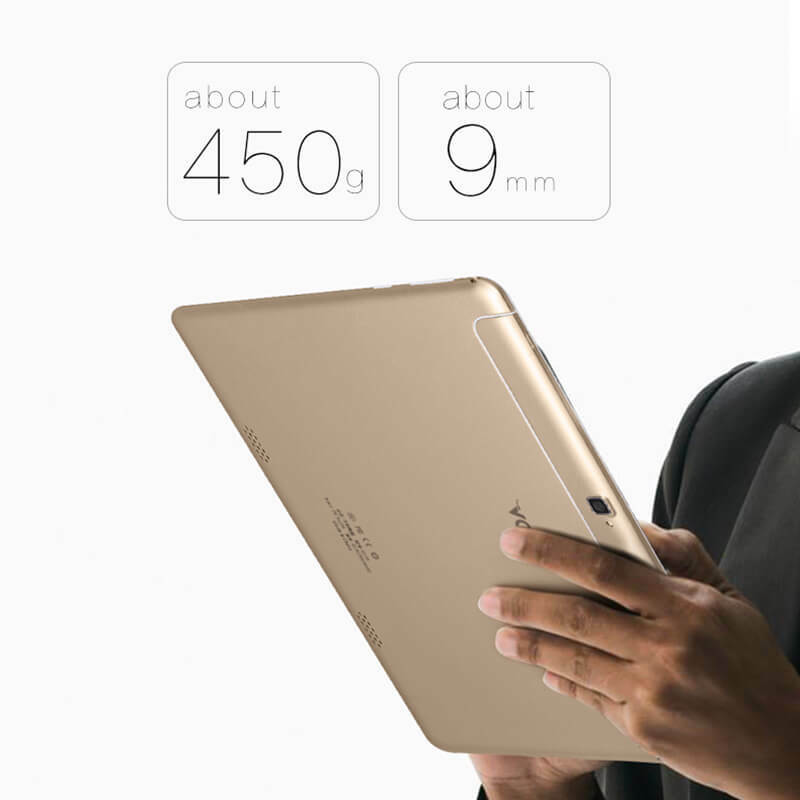 This 10.1 inch tablet PC offers a solid performance thanks to it’s Octa Core CPU and 2GB of RAM. 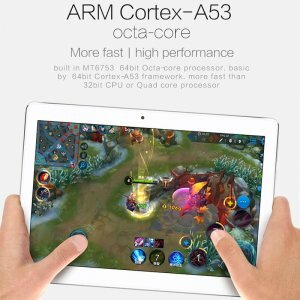 Running on the efficient Android 7.0 operating system it has plenty of processing power to handle games and media streaming. 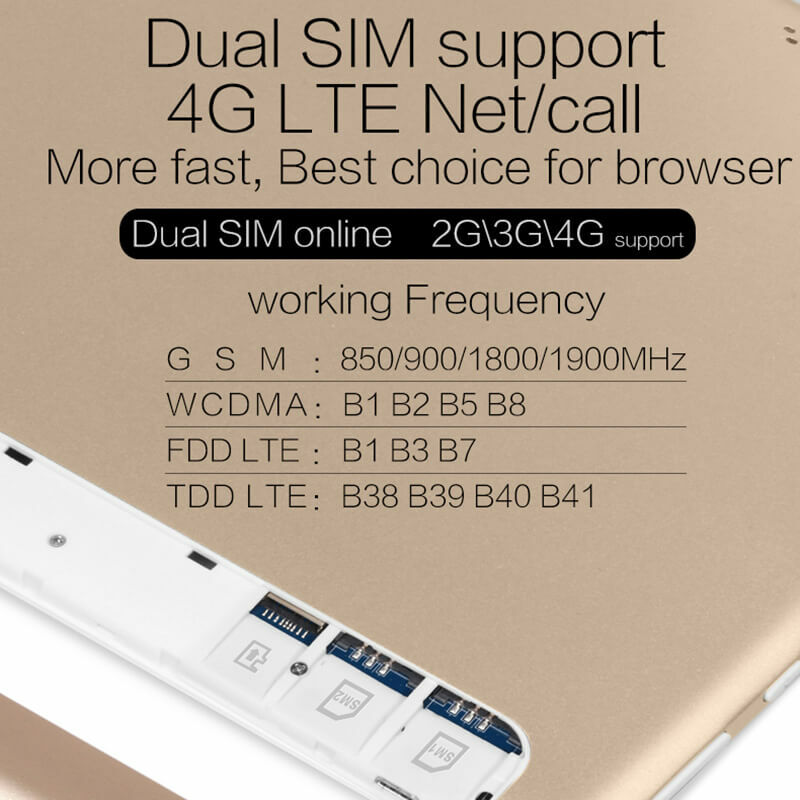 Benefiting from two 4G SIM card slots means you can enjoy outstanding connectivity on the go. 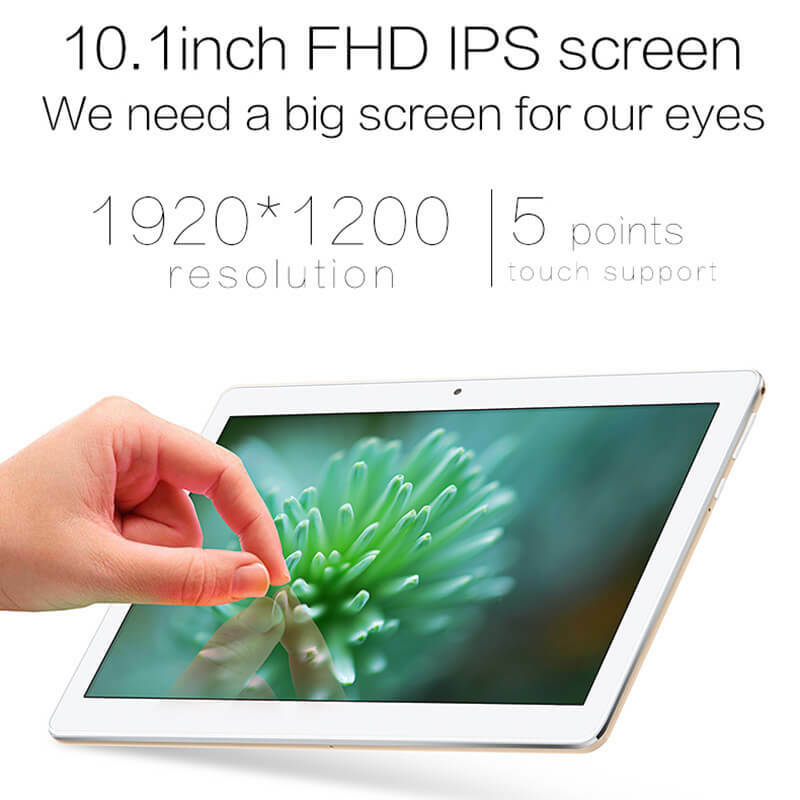 Perfect for streaming movies, playing online games, video messaging and conference calls. With support for most major 4G network providers in the US, UK, AU, and EU you can enjoy fantastic connectivity through most of the globe. 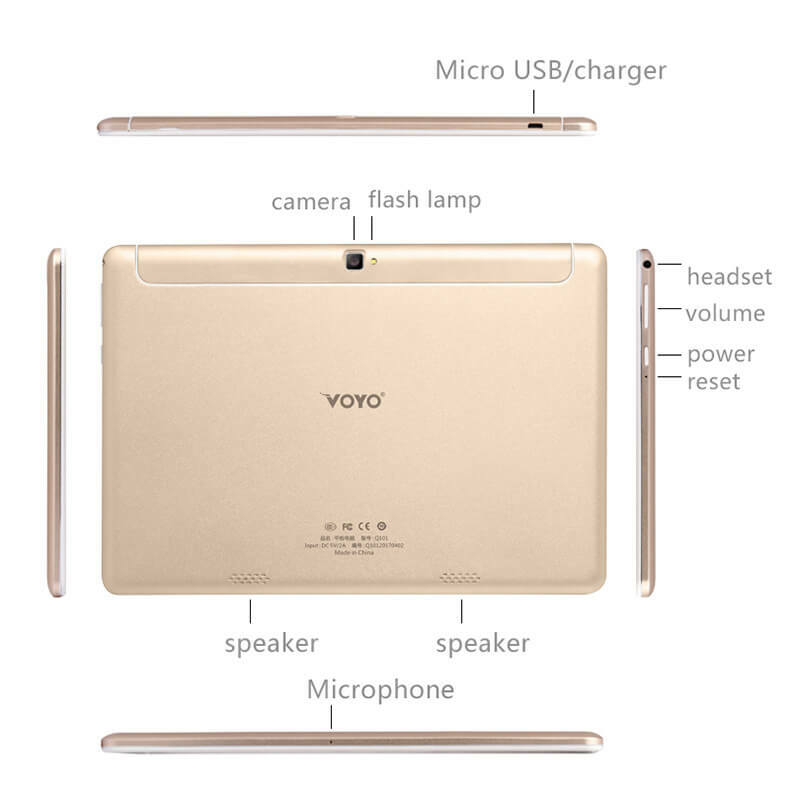 This makes the VOYO tablet computer your best travel companion so you can keep connected on holidays, check in from the beach and even use it work remotely if you desire. 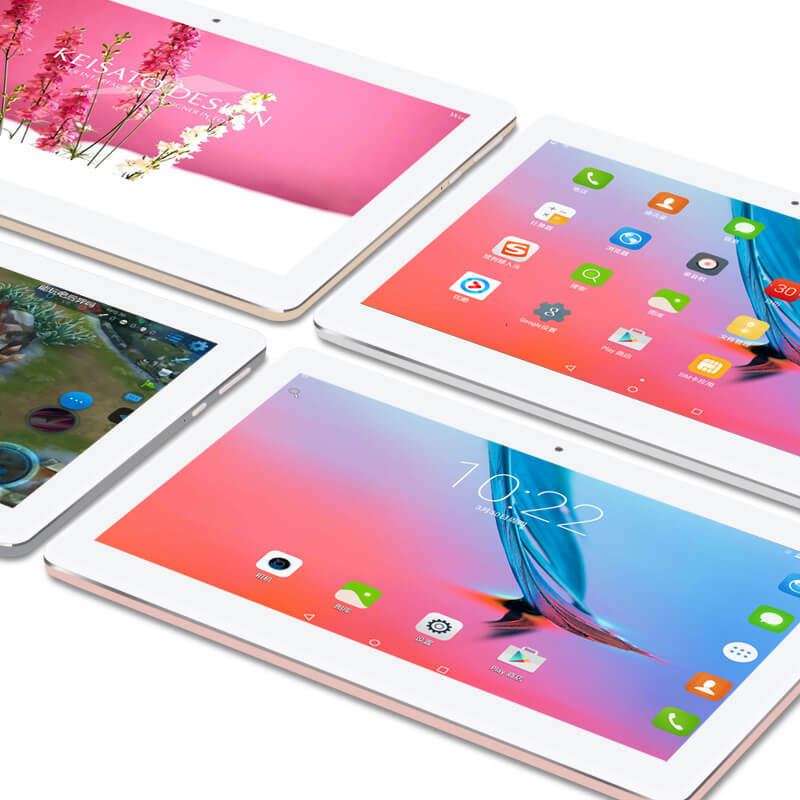 Android 7.0 offers you a streamlined and intuitive interface with easy access to a multitude of games apps and of course the latest features. 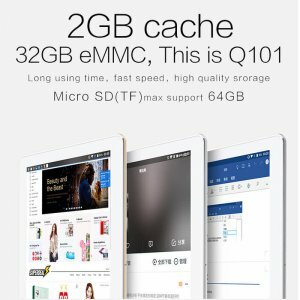 Equipped with 32GB of internal memory and external memory support for 64GB micro SD cards you’ll have sufficient storage for all your movies, music and games. What’s more with OTG this tablet PC allows you to use memory pens with it as well. 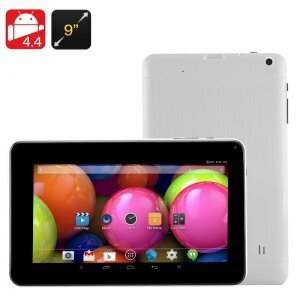 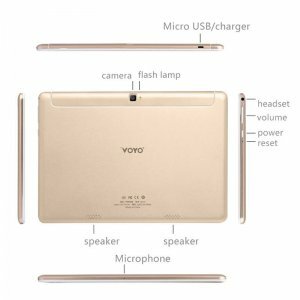 To ensure you get hours of enjoyment from every charge this VOYO tablet computer packs a whopping 6000mAh battery that offers plenty of talk time for calls or video playing for movie entertainment. 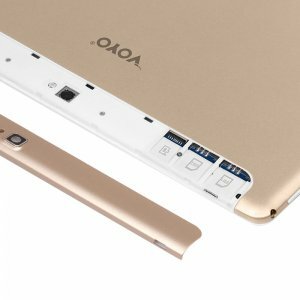 With a front and rear camera, you can snap pics or videos of life’s special moments and capture wonderful memories that will last.